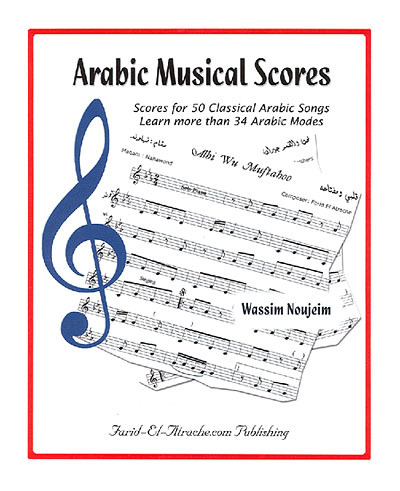 Arabic sheet music and musical scores of more than 50 Arabic traditional songs. Size: 215mmx280mm It’s now an eBook! Shipping: No Shipping! You will be able to download it upon purchase! Description: The book is now offered in Digital Version as an e-Book! and at a much lower price! 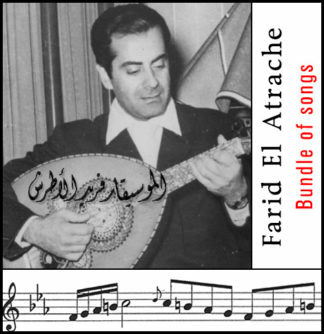 It is a book of 97 pages of Arabic sheet music and musical scores of more than 50 Arabic traditional songs. Notation is very clear and the inclusion of the scales is very helpful. 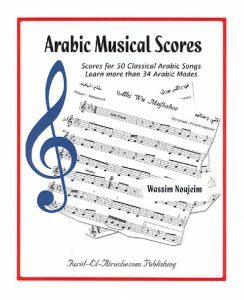 Sheet Music of 50 popular Arabic Songs in one Book! 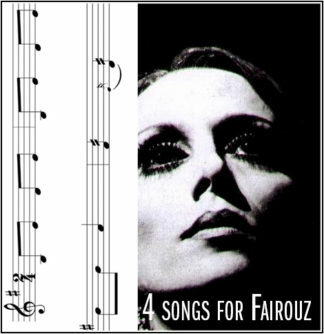 – The musical scores are arranged and placed in seven different chapters, each featuring one of the seven main maqamat (Arabic modes), the maqamat that derive from it, and its related songs. – Some of this book’s songs are: Nihna Wil Amar Jeeran, Kan Agmal Yom, Ya Zahratan Fi Khayali, Tallou Hbabna, Biktub Ismak Ya Habeebi, Ya Habeebi Taala, Albi Wu Mouftahoo, Samra Ya Samra, Adi el-Rabih, Hikayit el-Omri Kulluh, Al-Nahr Al Khaled, El Hilwa Di, Shatti Ya Diniyi, Qadduka el-Mayyas, Ma Alli Wi Oultilu, Ana Fi Intizarak, Zarani el-Mahboob, Leyla, Hawa el-Widyan, Eshtaetillak, Noura Noura, Hilwit Lubnan, Al Laylu Ya Layla, Ahbabena Ya Ein, Leilti Mbareh, Eyni Bitriff, Ennabi, and more….